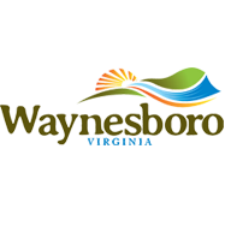 The Tourism Association of Greater Waynesboro in collaboration with Waynesboro’s Office of Tourism has annonced the date for its third tourism tradeshow in support of the area’s growing travel industry. The event will take place on Tuesday, May 19, from noon to 5 pm at the Best Western PLUS Waynesboro Conference Center. The junction of the Blue Ridge Parkway and the Skyline Drive means hundreds of thousands of travelers are attracted to the Greater Waynesboro Area. Their spending contributes over $27 million d to the local economy. Providing an open and welcoming environment and encouragement to explore all there is to do in Waynesboro, Nelson and Augusta counties will only enhance the area’s share of the travel dollar. The 2015 Tourism Fair will answer the question, “What is there to do in the Greater Waynesboro Area.” This is a question asked of those who man the front lines in area businesses that serve the travel public as well by local residents who are hosting out-of-town guests. Over thirty business, organizations, and attractions will be on hand to provide an answer and information on options in Waynesboro, Staunton, and Augusta and Nelson Counties. The Fair will also feature three workshops which are free and open to all. At 1 pm, Amy Davenport will present “Is the Customer Always Right” Providing Exceptional Cusomer Service in Today’s World.” At 2 pm Chris Graham, president of the Augusta Free Press, will offer “The Secret to the Secret Sauce: Use Social Media to have your Business Go Viral.” And at 3 pm, Jenny Carter, Waynesboro’s Assistant Director of Economic Development and Tourism, will speak to “Trends in the Hospitality Industry: Travel Outlook 2015.” Each workshop is 45 minutes long. Those who attend the Fair will be eligible for one of the hourly drawings and for the grand cash prize of $250. Winners do not have to be in attendance at the time of the drawing. For more information contact Waynesboro’s Office of Tourism at 540-942-6644.